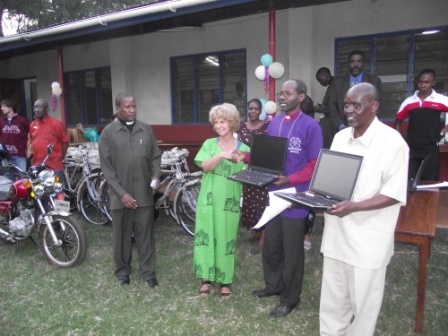 A mission team of 9 committed Christians from Canada visited the Diocese of Tarime from July 4-15 to help with construction work in selected parish buildings and short computing and accounting courses for the diocesan staff. 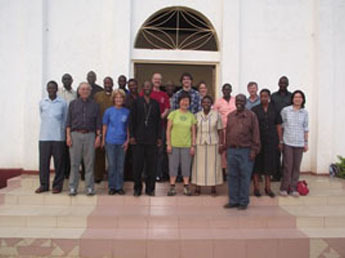 The team was able to work with the local Christians in three parishes and managed to accomplish three specific projects. At Manga parish, the team put a concrete floor in the church building. At Kenyamanyori Parish, the team plastered the walls of the church and put in a concrete floor as well. 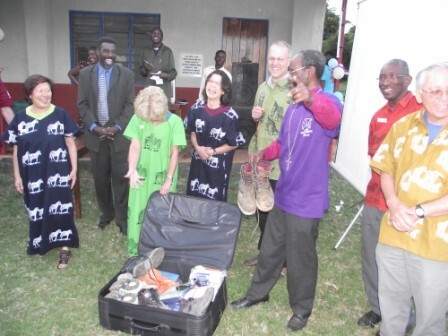 The team made benches for the Kerende parish church. The presence of the team in Tarime made a huge difference, bearing in mind that we live in a developing country with a poor economy such that Sunday collection in many churches in Tarime ranges between $2-4. However, and even more important, was that the visit strengthened the partnership in international mission between the Diocese and the participating Canadian churches. 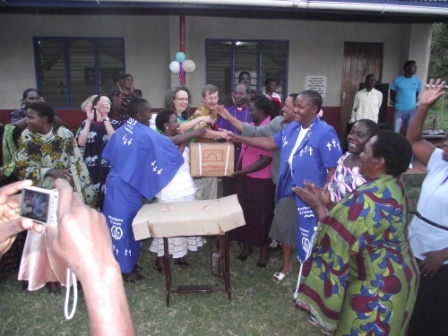 This visit brought to light, yet again, the fact that the people of God in Tarime and their brothers and sisters in Canada are members of the One Body of Christ and the worldwide Anglican family. " The mission was been organized by the Rev. Canon Kim Beard, Rector of St Paul's-on-the Hill Church which is located outside the city of Toronto. 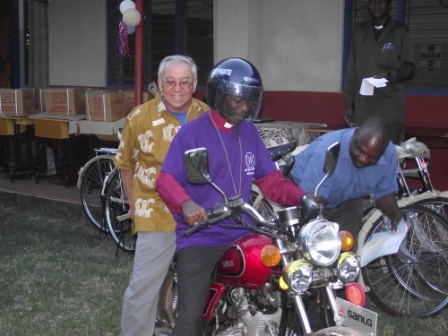 Bishop Mwita first met Kim when he visited Canada in 2007 to teach at Wycliffe College, University of Tortonto. 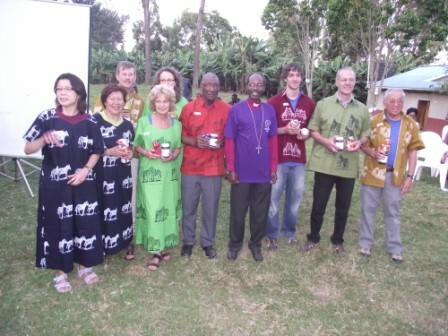 On January 2009, Kim visited Tarime, then part of the Diocese of Mara, from which Tarime was carved in July 2010. This visit inspired him to organize a mission team to Tanzania similar to the team that has been visiting Kenya for a number of years. 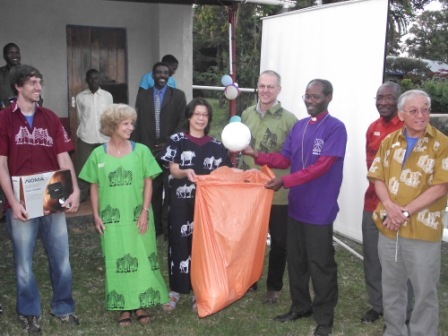 Members of the Tanzania team were Jim Charbonneau (team leader), Kristopher Charbonneau, Hugh Sandiford, Janne Chung, Cassie Williams, Joseph Sue-Ho, Jennifer Sue-Ho, Peter Kirwin and Juddy Kirwin-Price. 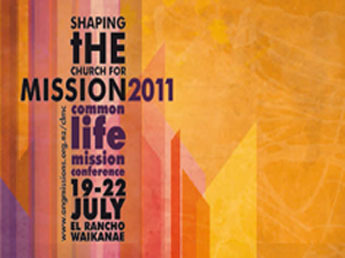 “July 19-22 2011, Bishop Mwita Akiri will participate in the Common Life Mission Conference in Waikanae New Zealand. The theme of the conference is "Shaping the Church for Mission". Let us gather as one church to worship, study, learn, share, renew, envision and enable our passion for Mission together. There will be a variety of workshops reflecting our 5 aspects of mission. With presentations from our mission partners including NZCMS, SOMA, the Anglican Church of PNG, the Diocese of Polynesia, the Diocese of Jerusalem, the Anglican Church of Melanesia and CWS. 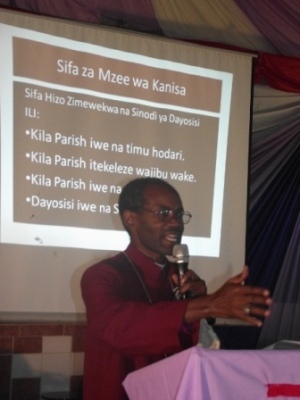 Bishop Akiri will be leading a workshop "The Unfolding Drama of Mission in a New Diocese in Tanzania, East Africa"
Workshop Info:Mission is dramatic in the new Diocese of Tarime, east of Lake Victoria in the far western part of the Serengeti National Park. It is mission through committed leadership of women, soccer (football) evangelism targeting young people outside the Church. It is mission through worship in makeshift places of worship and walls without roofs, and community development projects. Poor Christians with little resources are committed to sacrificial giving to support mission. Yet this unfolding drama is not without the challenges. 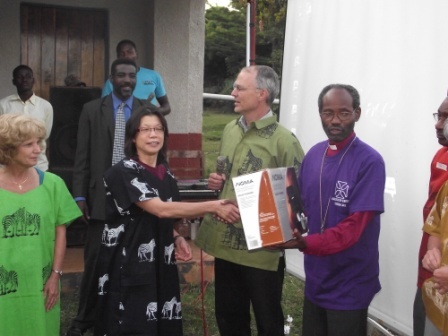 Tarime is a diocese in an area that is a cultural and political hotspot, nationally and internationally. The outdated practice of female genital mutilation is rampant. It is a stronghold of a major opposition party in Tanzania. Unwillingly, it is hosting one the world's gold mining giants. Where else could one be serving the Lord? 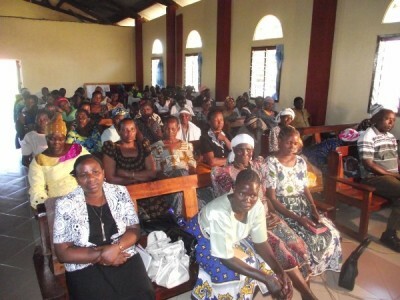 On May 14, 2011, 139 church elders (members of the parish vestries) gathered from all over the Diocese for a day seminar led by the Bishop of Tarime. Also present were the senior Diocesan leaders, namely the Vicar General, the Diocesan Secretary and the Area Deans. The main seminar topic was ‘the Life and Role of a Church Elder’. The key text was 1 Corinthians 4:1-2. “This is how one should regard us, as servants of Christ and stewards of the mysteries of God. Moreover, it is required of stewards that they may be found trustworthy.” (New English Version). In Kiswahili, these two verses read as follows: “Mtu na atuhesabu hivi, kuwa tu watumishi wa Kristo, na mawakili wa siri za Mungu. Hapo tena inayohitajiwa katika mawakili, ndiyo mtu aonekane kuwa ni mwaminifu” (1 Wakorintho 4:1-2). 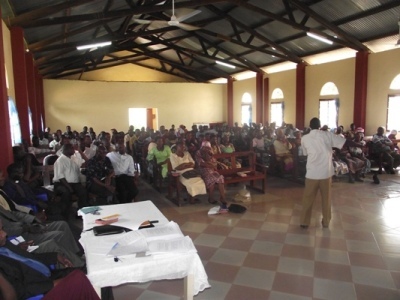 Apart from Bible teaching, the participants explored the relevant canons of the Synod and the constitution of the Diocese especially as they apply to role of church elders and the parish councils. 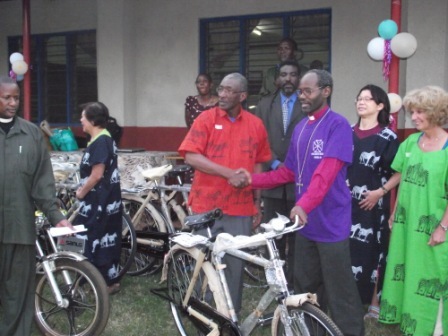 "On Sunday Feb 27, 2011 we had a harambee (fundraising event) for Bunchari and Bugumbe parishes. 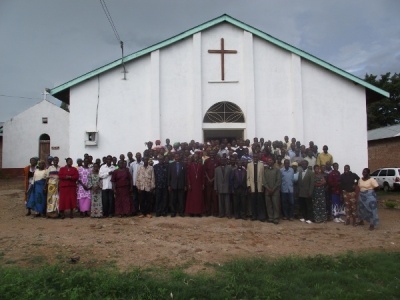 These are two churches that had suffered some of the worst violent clan clashes ever experienced in Tarime in recent years (recall that I talked about this in my speech on July 4th 2010, and that it was echoed by the President). These two clans have now made peace with each other since 2008, and we want to seize the opportunity and engage in intensive evangelization in the area. But we need a church building for each parish by June 2011. 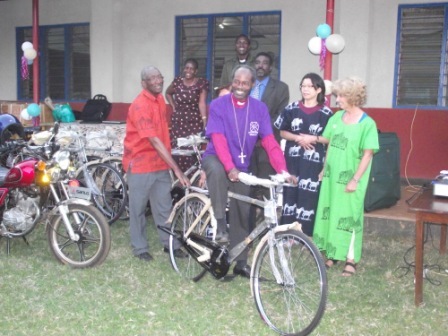 The construction cost is Tsh15million (approx $12,000 US) for each church, that is Tsh30million ($24,000). Today we helped the two parishes to raise Tsh3.4million in cash which we shall divide equally for the two. Each side will contribute some of the materials such as stones and sand worth over Tsh2million in total for both parishes. 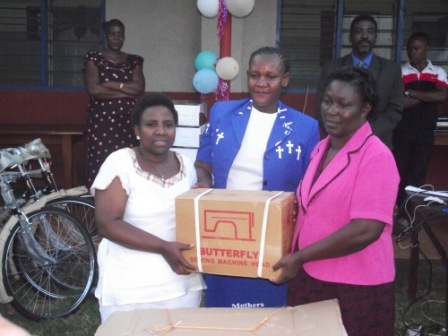 So we still need to raise more money for these two churches"